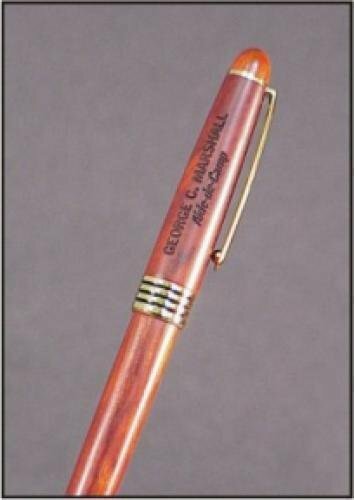 Rosewood writing pen and pencile come in a matching rosewood box. Twist action ballpoint pen and twist action mechanical pencil. 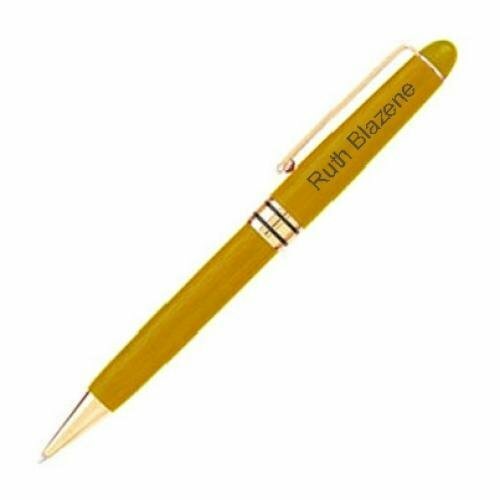 A logo can be engraved on the box for an executive gift. A logo can go on box. Rosewood Writing Pen comes in a velveteen pouch. 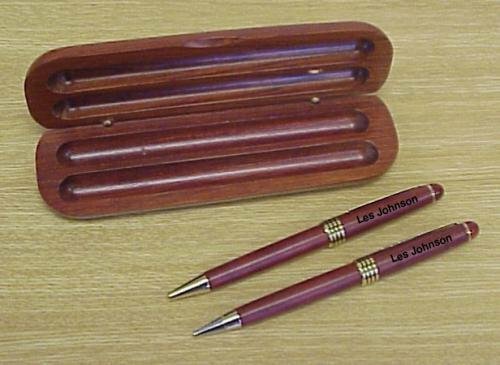 Also available with a matching rosewood box as shown here.